Depending on where you live in the lower 48 (or perhaps most of the year in the 49th), chilly weather can mean anything from a t-shirt with a light sweater to a down jacket on top of multiple layers. In the southeast, where the winter climate tends to be schizophrenic and can shift from a comfortable 61 degrees to a freezing 30 degrees in less than a week, it is important to know your layering options to prepare for the worst. Here are a few examples for your inspiration. 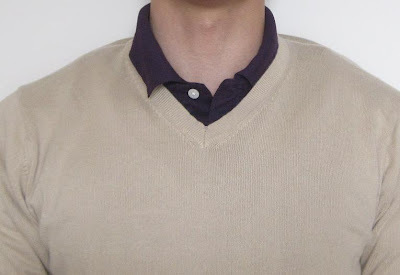 *For additional warmth, add a base layer such as a V-Neck undershirt (which hides from view) or a Thermal. This is an easy look for a brisk day. 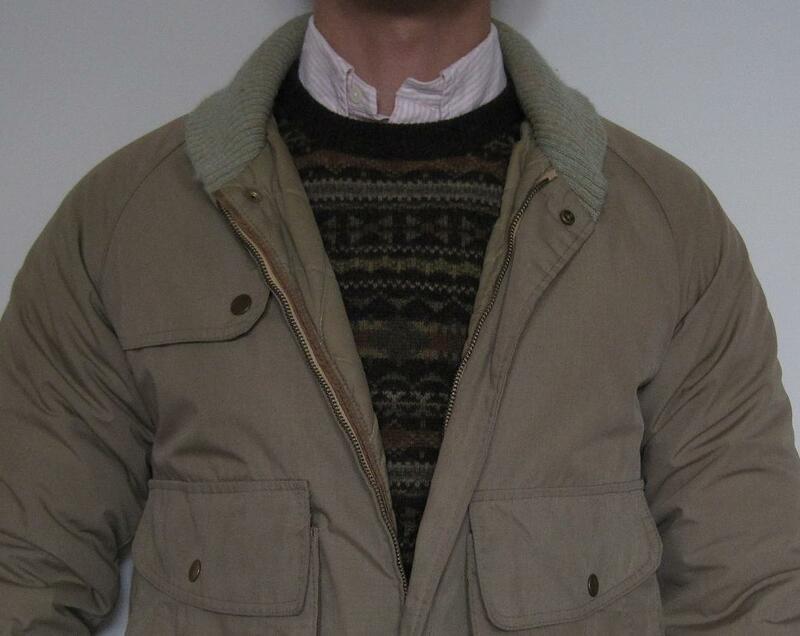 It's also rather rare and very trad, a throwback to the layering exploration of the 1980s. 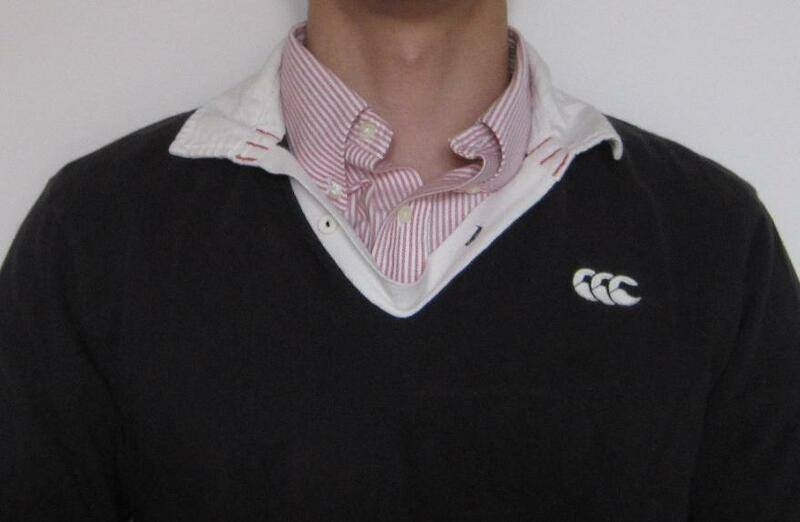 But unlike our preppy forebearers, you should never pop the polo collar. Ever. Same with an OCBD under a short sleeve polo, or a long sleeve polo under an OCBD. It just won't look as good as in the picture above. 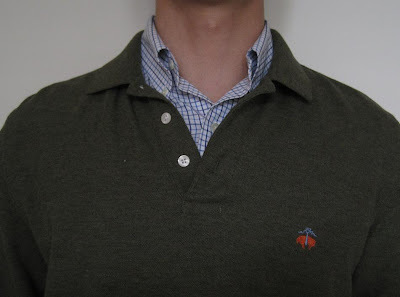 I like wearing a tattersall underneath to finish this casual sporty look. I played rugby in my freshman year. And by "play", I mean attended a practice. And by "attend", I mean tossed a ball a few times before realizing my skinny 150lb frame (at the time) would get crushed. But it's a fun sport to watch and I'll throw on a Rugby jersey and wear it as a light sweater during my Weekend Warrior moments. Authenticity is extremely important to me, so I would rather wear a jersey from Canterbury of New Zealand than from RL Rugby, even if this rugby shirt is from Canterbury's fashion line. Minor detail but underneath is a university red stripe which goes with the collegiate texture of the sport. Big fan of the shawl cardigan sweater. 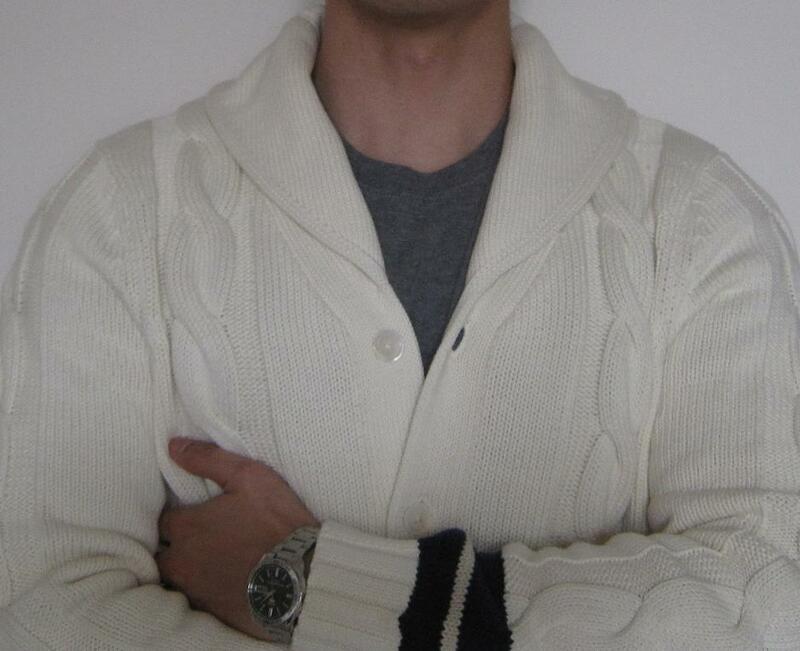 It screams luxury, especially this white cable knit. Can be worn dressed up for a formal day or dressed down for a sleepy afternoon. 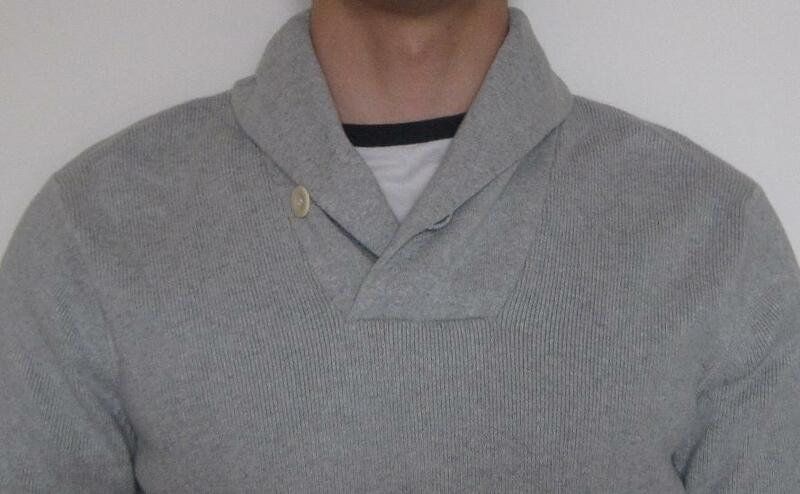 To casual-fy the outfit, I'd wear a neutral crew t-shirt such as this heather gray Hanes shirt. 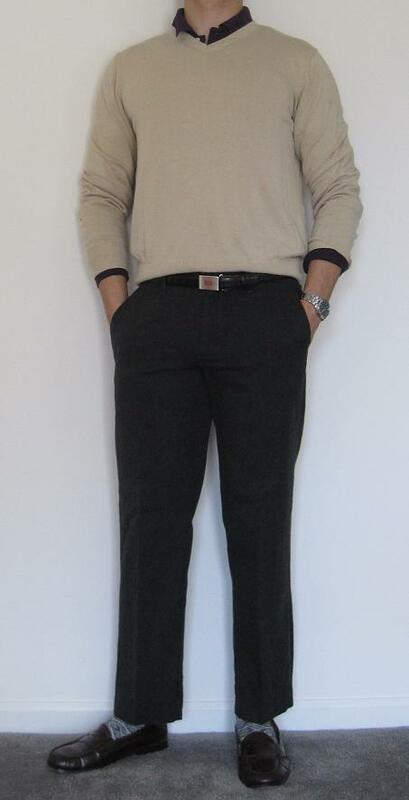 Pair the combo with a nice sport watch, slim chinos, and loafers the next time you sail down Venice. LL Bean is on God Tier in the prep hierarchy, and my recent pick up of this sky blue shetland and my experience attaining it confirms that for me. First off, the crewneck shetland is a staple tradly item. This one was an affordable $40 full price for the 2011 winter season, cheap enough to be sold out by the end of the year. I must've been a few days late, as the sweater was marked down to $30 but my size was gone and the popular sky blue had already sold out. So I emailed customer support and a nice woman wrote a personable message referring me to their retail location in Mansfield, MA where there was one last sweater in stock. I immediately called and ordered from another helpful sales associate. For added kicks, I was able to stack my $10 promotional card from my last Bean purchase to end up paying only $20 for the sweater. Free shipping included directly from the store. Rule #10 in action. Fun stuff. I have a solid yellow RL OCBD underneath for a very early Easter palate. 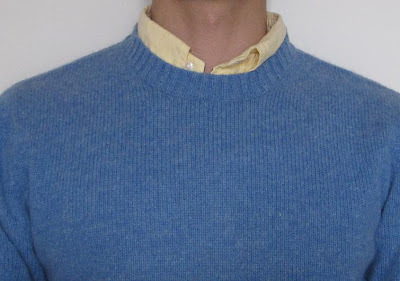 *As of this post date, the shetland sweater is back on the LL Bean website for full price in limited colors, including the sky blue. The small and medium sizes are already sold out haha. I like ringer shirts as a base layer and have a few in my portfolio. 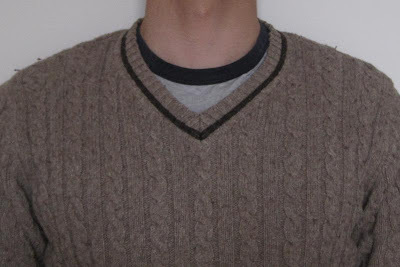 The ringed neck acts as a visual cue to break up the plainess. Wear a ringer to casual-fy relatively formal clothing such as this shawl. Same as the lesson above, this ringer tee balances out the opulent sweater. 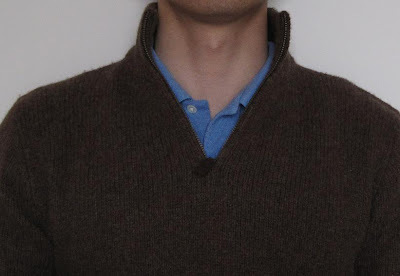 Here I don't mind popping the sweater collar. Don't double pop the polo. 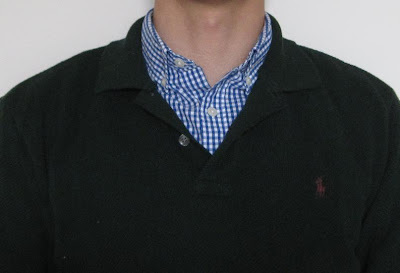 The button down shirt under a v-neck is easy, so for a different take you can use a polo instead. This polo and sweater are made out of light cotton which worked well for a mild late Autumn day. As seen before, I really liked this modernistic violet and sand color combo. Similar to wearing a button down under a polo. 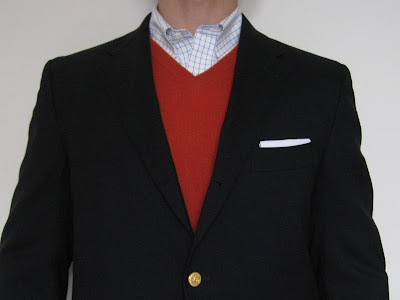 I'd recommend an OCBD in these types of ensembles because it helps keep the collar up to balance the sweater collar laying down. The jacket has a quilted lining which helps keep me toasty. Both the Bomber and Fair Isle were passed down from my Grandfather. Let's say you go for a tie optional outfit for a formal occasion. A button down shirt and a jacket without the tie will always looks odd in non-casual settings (some would argue in all settings, but we'll save that for another time). So an appropriate response is to abide by the Rule of 3, where that third item unites the first two. Trip from A Trip Down South explains it very well. A light v-neck sweater adequately replaces a tie, as does a vest. A festive color like bright red or green can spruce your look up for a holiday party. By your fourth layer you are probably talking about an overcoat. The important rule pertaining to an overcoat is that it should always be longer than your sportcoat or blazer. Longer the coat the more formal. But keep it above the knees and leave the dragging Harry Potter cloaks in your dad's closet. As usual, keep the blazer or suit jacket underneath buttoned when standing up. The overcoat can be worn both ways (I keep it buttoned outside, unbuttoned when inside). This is a Brooks Brothers rain coat and is my only proper overcoat at the moment. I've worn it during a few chilly evenings but the removable quilted lining keeps it adequately warm, as does the rest of the layers. Notice the sleeve length. Many overcoats tend to be too long and end half way past your hand. Ideally you want to be able to see the sum of layers at your wrist, meaning you may want to keep your overcoat sleeves a tad bit short. Going along with that, all layered outfits should have the underneath layer peeking at the wrist (unless it is short sleeve). For multiple layers, pyramid each of the skins on top of each other, giving way to the one below it. 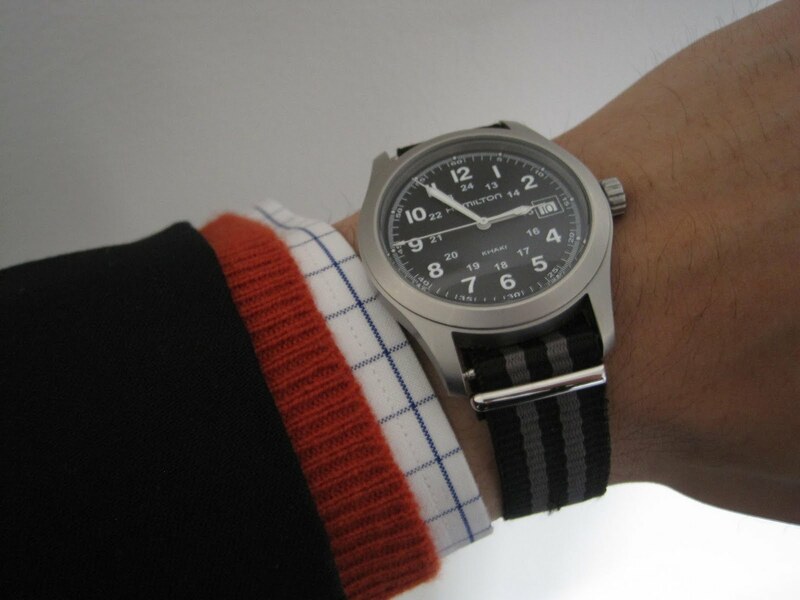 The visual cues at the wrists help complete the layering look. Lastly, I haven't focused on winter accessories but you should invest in beanies, scarves, gloves, etc. as needed. Wool and cashmere are safe bets with fabric depending on the occasion. You've got a terrific, very intelligent sense of style. I've had a lot of fun browsing your old posts. Look forward to checking back often and commenting. @Kionon, thank you my friend. @JJalbert, first off thank you very much. I wouldn't be too worried with matching your Sperrys with a surcingle since both are inherently preppy and match well in character. So you don't have to be strict in coinciding the belt tab with the shoe leather, especially with motif belts as the design diverts the eyes enough to make leather matching a tiny unimportant detail. But if you absolutely unequivocally must match your chocolate brown Sperrys with a dark brown leather surcingle, a few I'd recommend include Lands End solid wool surcingle, Belted Cow, OConnells, and Barrons Hunter as they all offer tabs with darker shades of brown. Another great movie for the shawl cardigan -- The Girl with the Dragon Tattoo, also starring Daniel Craig. The book doesn't go into great detail besides him buying a few more layering items, some winter boots, and outerweae when he finds his wardrobe very lacking for the cold Hedestad. Despite that they were trying to make him dowdy looking (Craig himself stopped working out for a while in preparation for the role) he manages to look casually elegant. Also look in the flashback segments to the 1960s -- lots of great Trad items being worn. @Jovan, Quite right sir! I'm a big fan of Mr. Craig's fashion in his latest films (not so much in his off-screen attire, more hit and miss). He looks exudes fine British style in his Bond films, as Casino Royale is among my top sartorial films. And he does look great in Dragon Tatoo. @Jovan, Quite right sir! I'm a big fan of Mr. Craig's fashion in his latest films (not so much in his off-screen attire, more hit and miss). He exudes fine British style in his Bond films, as Casino Royale is among my top sartorial films. And he does look great in Dragon Tatoo.